We have been sowing more flower, herb and veg. seed this week again – I am running out of space in the greenhouse. We have a polytunnel but it has been totally invaded by mice who are playing havoc with all of the seeds and seedlings. So, we have moved most of the seeds and seedlings to the greenhouse, which has meant that I have had to pick and remove most of the salads growing in containers in there. Cosmos seedlings – I have been transplanting Cosmos Sonata seedlings from seed trays into different sized pots to see how they get on. I usually transplant them into 9cm pots, but this does use a lot of compost so I am also transplanting into 7cm pots and into some divided trays – I’ll see how they fare. 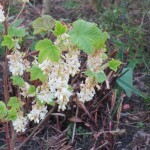 Redcurrants for the Garden – the Ornamental Currant is now in flower. Several Ornamental Currants are grown as decorative plants in the garden. They have the same leaf shape as the edible fuuit bushes, and also retain some scent in the leaves. 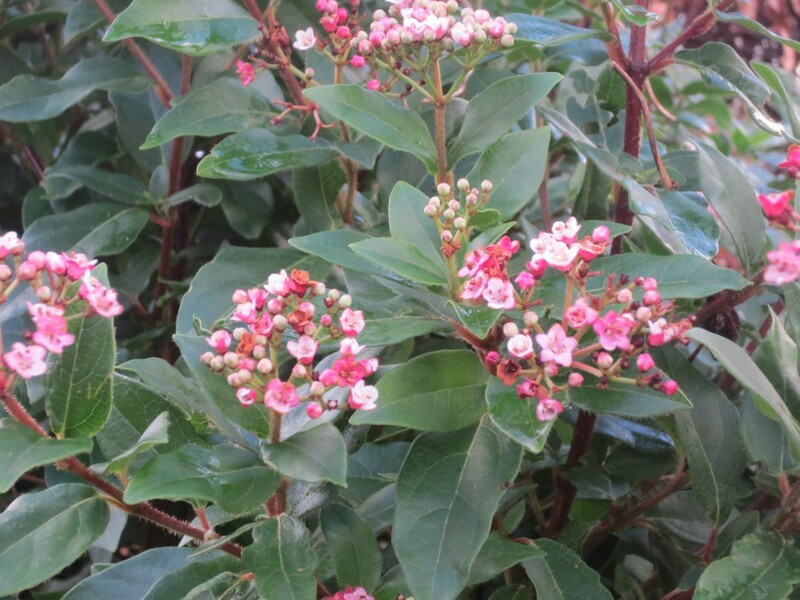 We have two quite small bushes here at Fieldcrest; ‘Pulborough Scarlet’ and ‘White Icicle’ – the names hint at the colours! 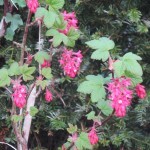 These deciduous shrubs are easy to grow in most situations, the leaves are scented and they provide lovely colour for spring .Many of our spring flowers are often woodland plants and are quite low growing , while the Ribes will grow up to 4 – 6 feet so providing colour higher up in the border. 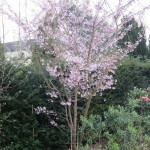 We also have a dark pink double form which is very unusual, but which has quite thorny branches. It will flower next month but I don’t know it’s name, so if anyone knows I would be pleased to hear from them!